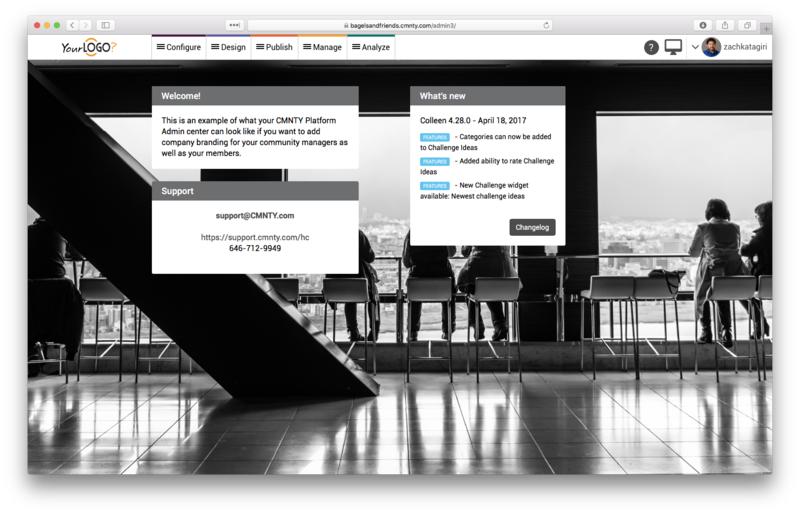 You can use the Admin Template to change the homepage or dashboard of the CMNTY Platform Admin section. This is useful when you want a branded Admin section. Community Managers can change the design of the Admin Template in Admin > Design. Change the Brand name if you wish. This is just for your reference. You can change the Email Address, Phone Number and Website which will be displayed on the admin home page but also on internal server error messages. You can change the Welcome Message that community managers see first on the admin home page. Change the Brand Logo Image which appears in the top-left corner of the Admin section and the Start Page Image which shows up as the background of the Admin homepage or dashboard. 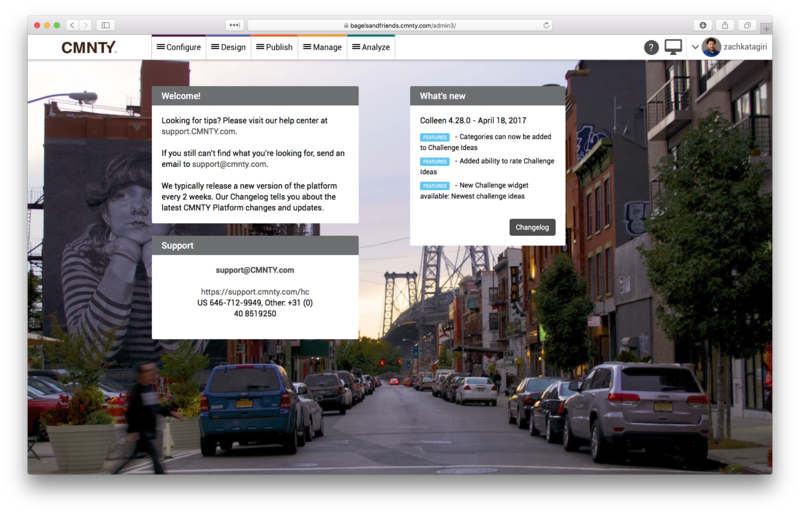 Below you can see two examples of an Admin page (the first is the default CMNTY Platform version, and the second has updated images and information). Also, read Set Up & Learn CMNTY Platform Quickly With “Guided Setup”.